On an early Saturday morning, I was very lucky to go to the movies and watch ‘Dawn of The Planet of The Apes’ with my aunty, uncle and my cousin. As we got out of the car, I was really eager to watch the movie already. When we entered the Hoyts movie theater, we could see a really long line of people waiting to buy tickets! And that wasn’t really usual. After ordering our popcorn and drinks, we made our way to the movie. As we entered I could see that most of the seats were reserved! Crossing my fingers I hoped the movie hadn't started! Luckily as we sat down we were just in time for enjoying the movie! My highlight for the movie was that it has become one of my favorite movies now! The worst bit of the movie was when Koba shot Caesar when nobody looked. And Koba put the blame on the humans because he disliked humans! The part I mostly loved was when the apes started trusting the humans and continued as a family with the humans. So basically the movie, tells you about trusting others! Which I thought was amazing! After watching a cool movie, my cousin and I went to go to the shoe clinic to check our feet. I was really nervous about hearing my actual size. As the lady measured my foot, I was shaking excitedly waiting to hear my new size! Overall, I turned out to be a womens size 9! Wow, my feet must've grown a lot during netball! During our time at Footlocker, my aunt picked out great shoes. I really admired the colour of the outlines of the shoe! My tummy started to rumble, so my aunt suggested that we should have lunch at Nandos. As I sat impatiently, I could smell tender chicken which got me even more excited! Finally my aunt brought the food to the table, my tummy rumbled even more. After eating a lot of chicken at Nandos, I could barely move. What a great way to have a holiday! Here is a sound animation that I have created during the past few weeks! p.s vote for point england and view our gigatown movie :) Josephine Sound from Team 5 PES on Vimeo. Today I experienced one of the greatest things! This morning Point England Intermediate had a few special guests! Their names were Arizona, Jason, Constable Faireka and Andrew. Whilst I was doing my animation on the multimedia, Mrs Lagitupu stopped our class to line up for a meeting in the street. As I slowly got up, I felt really scared and tempted to go at the same time. I sat down in the street quiet as possible, I felt like not saying a word at all! Suddenly Mr. Jacobson started talking about when he was kid! At that, I was really confused. Then he said we were having a few visitors! 4 to be exact. I started listening to Mr Jacobson's speech, he says that he wanted to be an architect when he grew up. Looking at Mr. Jacobson, I thought his dream wasn't a success. But to him, being happy was what made him happy today. As we sang Mihi Mai Ra, I could see the 4 special visitors walking inside the street with Mrs Nua! One of the visitors looked really familiar! As I scanned his face, I noticed he came to our school before! and he was Radio Person meaning he talks to people all over New Zealand through one mic. His name was Andrew and he was introducing himself. One of the most shocking things he said was that the visitors and him with ‘12 students’ are going to America to Stanford and more places. I really wanted to go! The first visitor that talked after Andrew was a teacher at Tamaki named Jason Shammar. He was talking about why he liked to teach and he encouraged us to follow our dreams and not follow our friends. Mr. Faireki was talking about what inspired him and why he wanted to be a police! My favorite speaker was Arizona, she says that when she was small she talked a lot. She also said that she was shocked of how she got school captain. When Arizona was little, she talked a lot! And she could change all that talking into communicating talk meaning good talking! I thought that was amazing because I talk a lot to, you might not know I might be school captain like her! Adam Sandler is known as an American actor from the movie Big Daddy and Grown Ups. Adam was originally born in Brooklyn, New York. 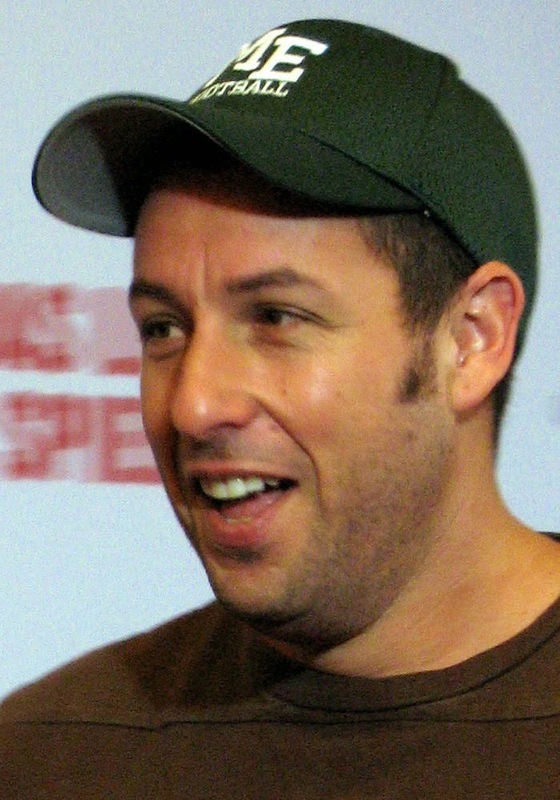 Sandler is known as the son of Judy who is a school nurse. June 22 of 2003 marked the day Adam Richard Sandler married special actress Jacqueline Samantha Titone, who is now known as Jacqueline Samantha 'Sandler'. Sandler has been one of the greatest 'male' actor since I was a kid and I do hope that he does not retire!